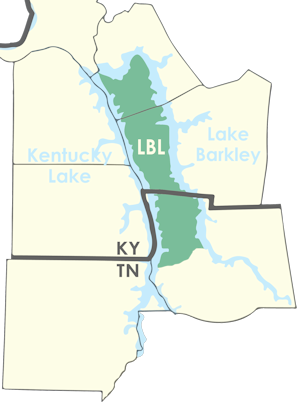 Land Between The Lakes National Recreation Area (LBL) is a 170,000-acre outdoorsmen's paradise between Kentucky Lake and Lake Barkley in western Kentucky and Tennessee. This natural playground not only features vast forests, open lands and streams. Adventurers will also discover attractions, camping, trails, wildlife and historical exhibits and much more. Families enjoy the diverse educational and recreational facilities such as the Woodlands Nature Station and the Homeplace 1850s. Situated on a large peninsula surrounded by the nation's largest body of water between the Great Lakes and the Gulf of Mexico, you can enjoy a weekend of fishing, boating, dining and soaking in the sun as you relax at Kentucky Lake and Lake Barkley. So start making plans for your next vacation to Land Between The Lakes, Kentucky Lake and Lake Barkley! Coming to LBL? Find a place to stay around Land Between The Lakes! Land Between The Lakes is full of fun-filled, family-friendly attractions. There's always something going on in and around Land Between the Lakes. Elk and bison can be seen at the Elk & Bison Prairie in Land Between The Lakes. Drive through this scenic, enclosed area for your chance to see these magnificent creatures up-close and personal. You might even have to stop and wait for these guys to get out of the road! 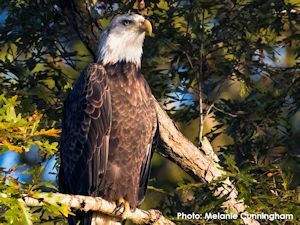 Throughout LBL, deer, osprey, beaver, migratory birds and bald eagles can be seen in addition to numerous other native wildlife. The Woodlands Nature Station features many live animal exhibits and programs for the enjoyment of wildlife enthusiasts. If you're looking for trails, we have them - hiking, biking, horseback riding, ATV and water trails. Dozens of miles of hiking trails are scattered throughout the recreation area. Biking adventures will enjoy several challenging trails through the park. Horseback riding trails are quite popular in the Wrangler's Camp area. Over 2,500 acres are set aside for OHV riding in LBL. 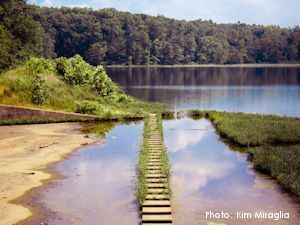 And most recently, water trails for paddlers have been established along the shores of Land Between The Lakes. The Civil War was fought on lands in southern LBL, home to the former site of Fort Henry. Iron furnaces from the 1800s are located here with self-guided tours available at Center Furnace. 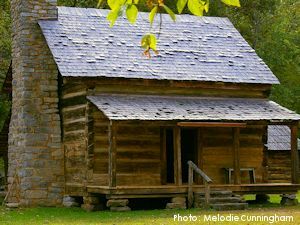 The Homeplace 1850s is a working, living history farm with exhibits, interpreters and demonstrations of live in the mid-19th century. Cemeteries, the remains of home sites and communities are scattered throughout the numerous back roads of Land Between The Lakes. 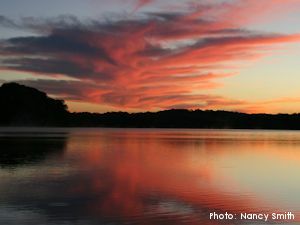 Kentucky Lake and Lake Barkley are on each side of Land Between The Lakes, featuring more than 340 square miles of water for fishing, boating and recreation. Dozens of boat ramps dot each side of the lakes. Pontoons, fishing boats, house boats, jet skis, water toys and other rentals are available for anyone who wants to spend time on the lake. Several resorts and other accommodations are located just across the water from LBL. Over 200 restaurants are within a short drive of LBL as well as a great selection of attractions the entire family can enjoy.